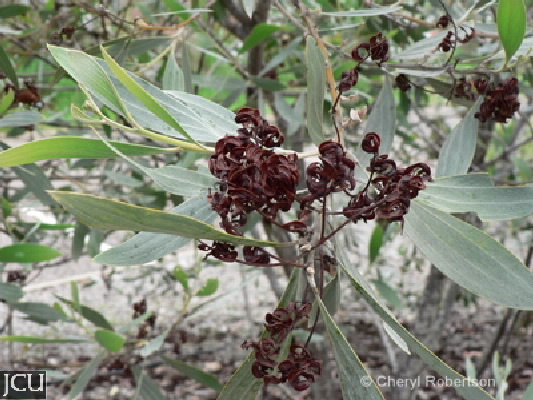 Widespread shrub or small tree with grey, hairy leaves (phyllodes) to 25 cm long and up to 9.5 cm wide, 3 longitudinal veins more prominent than the rest. There are some closely related species elsewhere with glabrous leaves. Pods coiled 2.5-5 mm wide, aril often bright yellow.